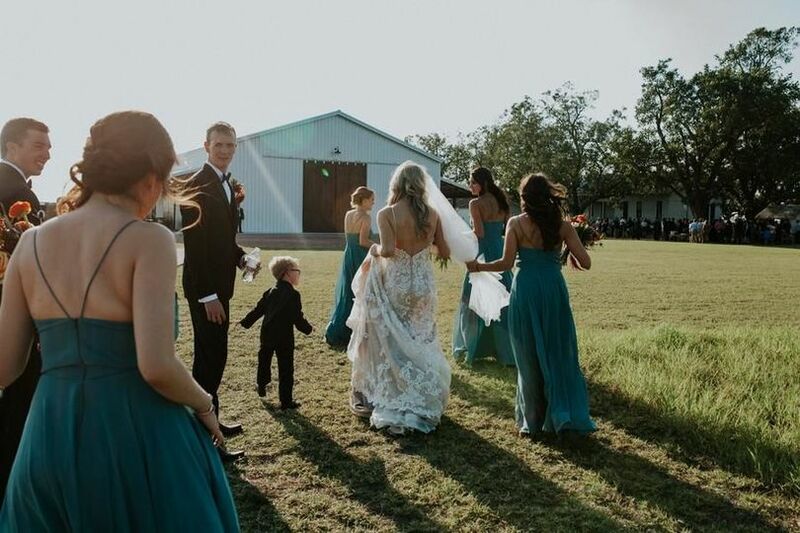 The Allen Farmhaus is a vintage wedding venue located just outside the city limits of New Braunfels, Texas. It's nestled on 52 acres of rolling hayfields and farmland. Couples will experience a 300-year-old oak tree and custom-made sliding barn doors on this picturesque property. 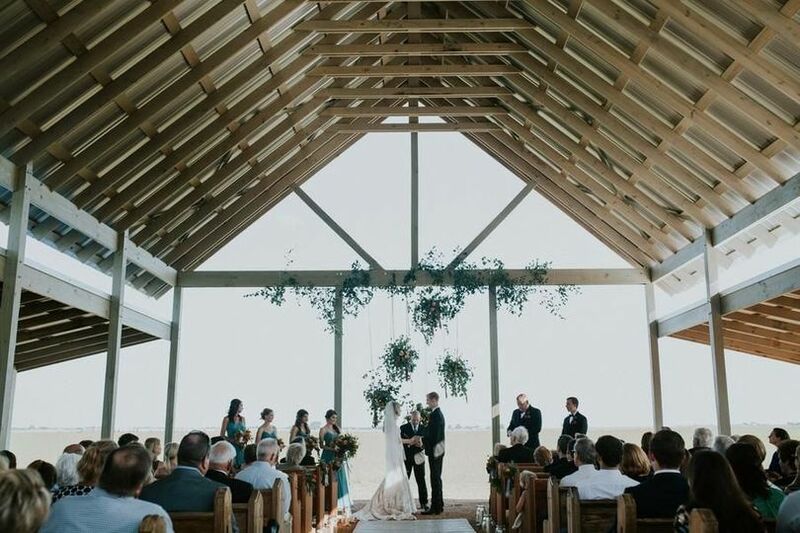 The Allen Farmhaus focuses on bringing the outside in, for an unforgettable wedding. 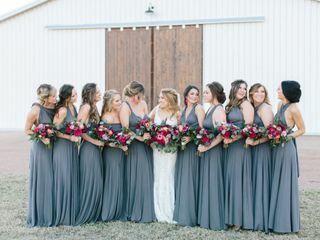 Couples can accommodate up to 299 guests at this country venue. 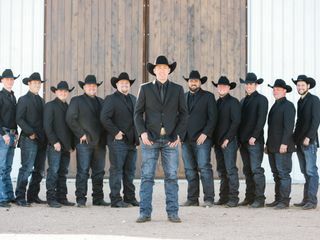 They feature a unique, 100-foot-long reception barn, perfect for dancing the night away. It has six mirrored sets of sliding barn doors that allow you to see straight through the building to the beautiful countryside. You can use their hanging cast iron baskets and wooden installations to decorate as you see fit. For cocktail hour, you can enjoy drinks at their outdoor bar, which was originally a smokehouse. The newest addition to The Allen Farmhaus is their covered, open-air Chapel. It features restored, antique church pews and stained glass doors. 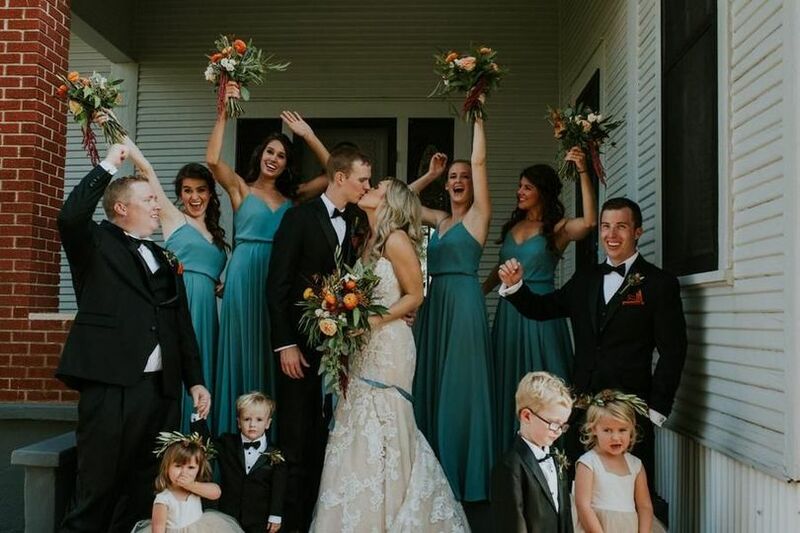 The Allen Farmhaus has both a bridal and groom's suite on their property. The bridal suite features 12-foot ceilings, multiple rooms to get ready in, a full restroom and a kitchen area. The groom's suite boasts a custom poker table, ping pong table, pool table and private outdoor space. Wow... This place is the best!! The wonderful sisters & owners, Cassie & Maitlyn, are the most kind and caring people you could have to help you during a fun but hectic planning process! 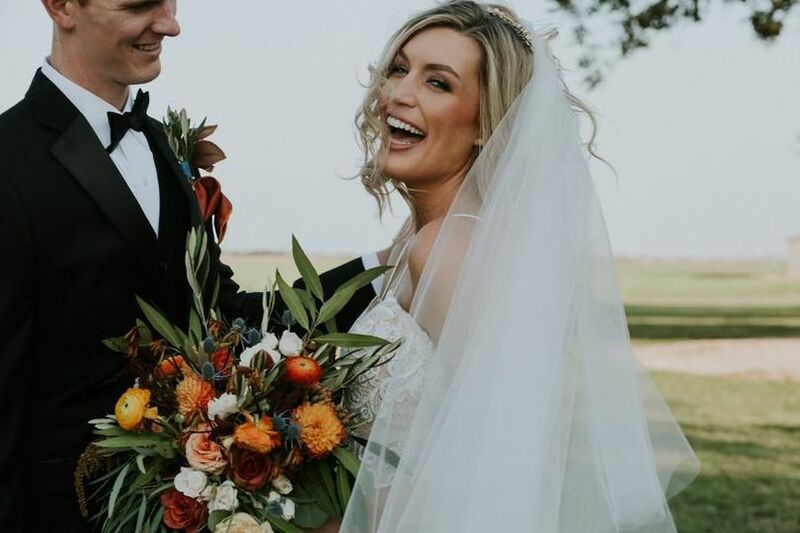 They were so attentive and responsive from our first visit all the way to Wedding Day and even still after as we share words of affirmation from ALL of our guests. My now husband, John, and I celebrated the beginning of our life together at The Allen Farmhaus. From our ceremony at the new open-air chapel (which couldn't have been more perfect) to the AMAZING Reception and finished off with a sparkler send-off!! This little slice of heaven, and the wonderful women who run it with love and oh so effortlessly, was the best way to start our happy marriage!! 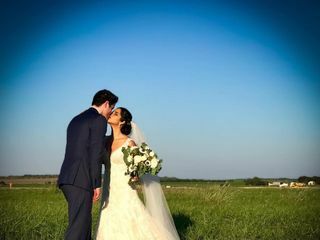 Having the gorgeous hay fields and beautiful Texas sky as backdrop made it all the more magical. We were able to take a short moment to ourselves and sit in the nostalgic white rocking chairs together to gaze at the stars. 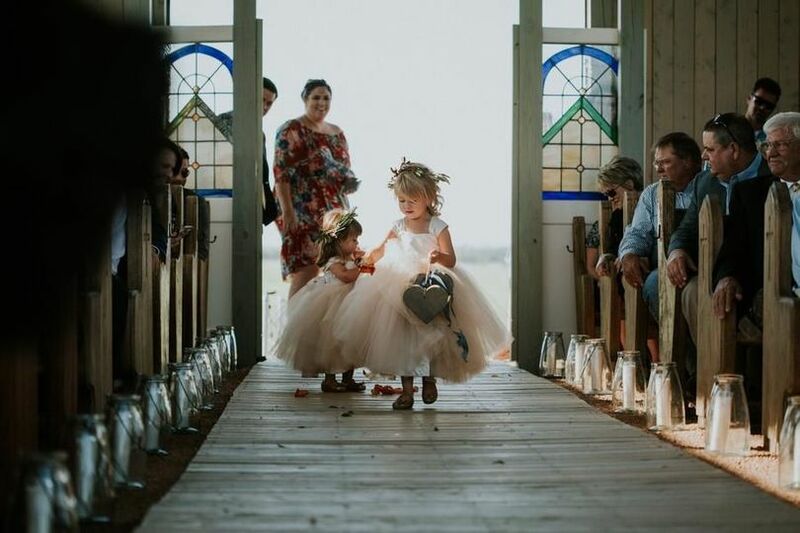 It was a beautiful moment and one I shall cherish of my wedding day forever :):) The weather turned out beautifully and allowed us and our guests the pleasure of having all the doors open for the big party allowing the gorgeous outside in. The chance to explore the grounds and get in some fun pictures with the hay bales, twinkle lights, and the sunset was great for all our friends and family from near and far to take in some fresh air. The Bridal Suite (the awesome 100+ yr old refurbished home) was idyllic for my best friends and I to hang out and get ready while feeling right at home. The natural lighting from all the big windows is perfect for makeup application. The Grooms Suite was perfect for the guys to relax and have fun while waiting. Who wouldn't want to play pool, ping pong, air hockey or a round of poker at the custom table with the custom table with their best friends? Thank you so much Katie and John! It was a so amazing getting to work with you both, along with your family and friends. 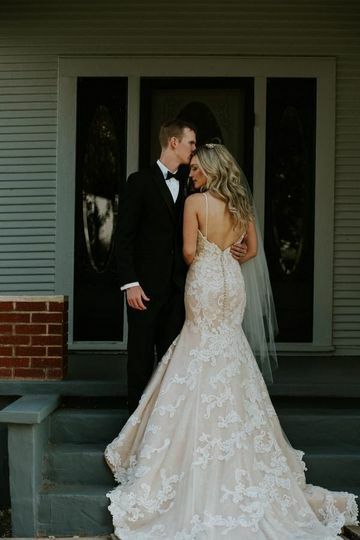 It was an honor to be a part of such a gorgeous and special day and we are so happy that you chose to have your wedding at The Allen Farmhaus! If you’re wanting a perfect venue, look no further!!! The Allen Farmhaus is the definition of perfection. My wedding reception for 300 people was held here, and my oh my it was a dream! With the layout, you are able to do SO MUCH! 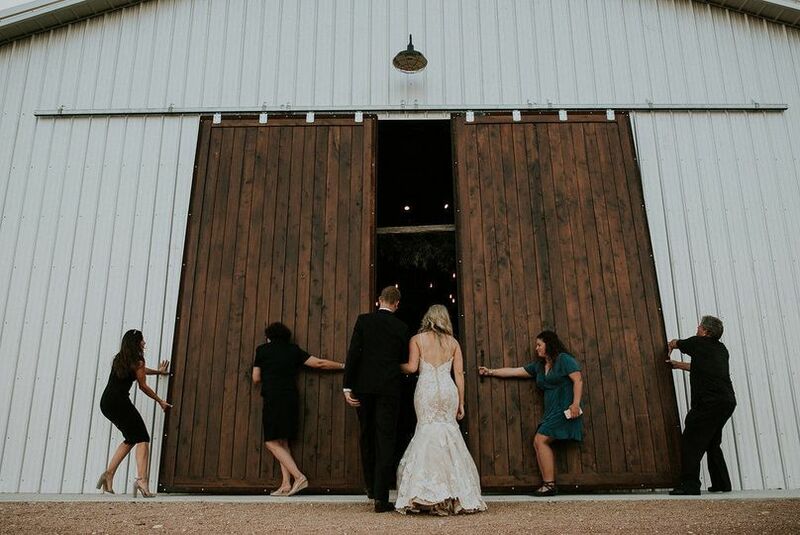 Since the weather was perfect, we were even able to open up the beautiful barn doors, and our guests were able to move freely through out the venue! Being a wedding coordinator, I always dreamed of having my wedding here, and I am forever grateful that my dream became a reality! Cassie and Maitlyn are two of the most exceptional women you will ever come in to contact with. They will bend over backwards for you in every way possible, and make your day an unforgettable one! They exceeded all my expectations, and made sure EVERY single detail was flawless. I am forever blessed to have these ladies in my life, and can’t thank them enough for their constant love and support! 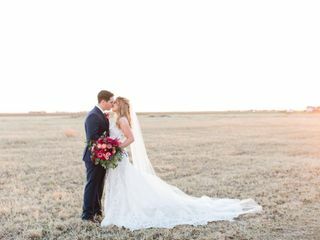 Dream wedding at the allen farmhaus! I wish it was possible to give more than 5 stars on here... My (new!) 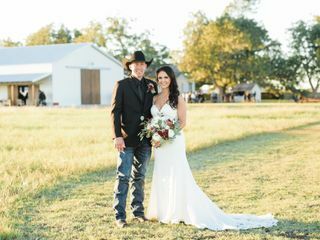 Husband and I were just married on November 24th last month at The Allen Farmhaus. I cannot express enough how thankful I am for these ladies and their wonderful family. It was fate finding this venue a year and a half ago, and WOW, how lucky we were! The Allen Farmhaus truly went above and beyond to make sure Jeff and I had the wedding of our dreams. Everything was beyond perfect on the day of, and we could not have done it without Cassie and Maitlyn. These two are such special people, and I am honestly going to miss wedding planning with them! 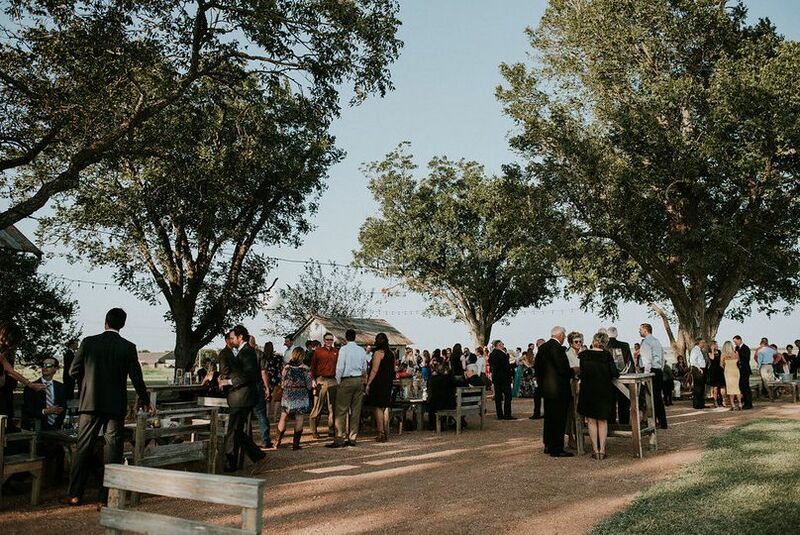 If you are looking for a venue in New Braunfels, do not miss out on visiting The Allen Farmhaus! Not only is the venue fabulous, but the customer service is beyond compare. Our guests had the BEST time ever, and were truly blown away by the location. 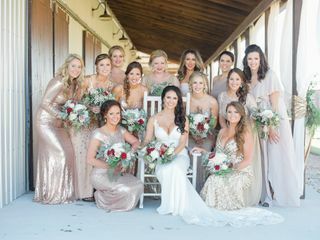 On top of that, getting ready with 14 bridesmaids was a BREEZE in their extra-large bridal suite...something that most brides don't think about, but getting ready in a tiny space is VERY stressful. Thank goodness for The Allen Farmhaus. We had plenty of room to spread out to get ready, and all 225 of my guests were seated very comfortably in the reception area. November 24th was a day we will never forget. THANK YOU ALLEN FARMHAUS!!!! 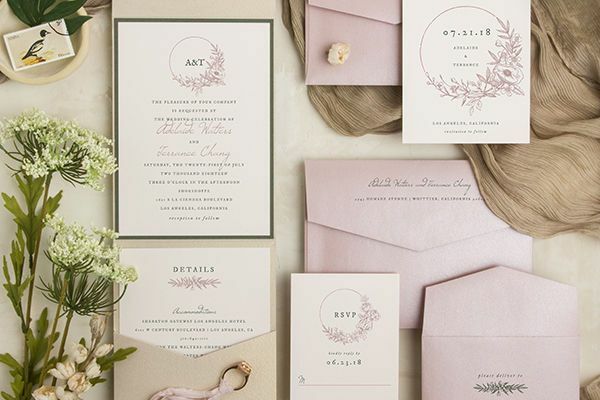 We&apos;ve had the pleasure of creating stunning one of a kind invitations for several brides using this facility. 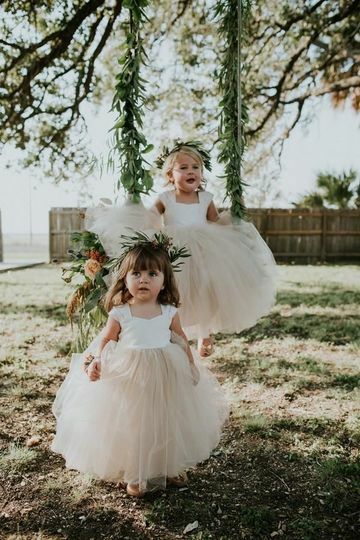 We have heard nothing but great reviews about them...I would recommend calling them sooner than later to tour before your special day is all booked up! 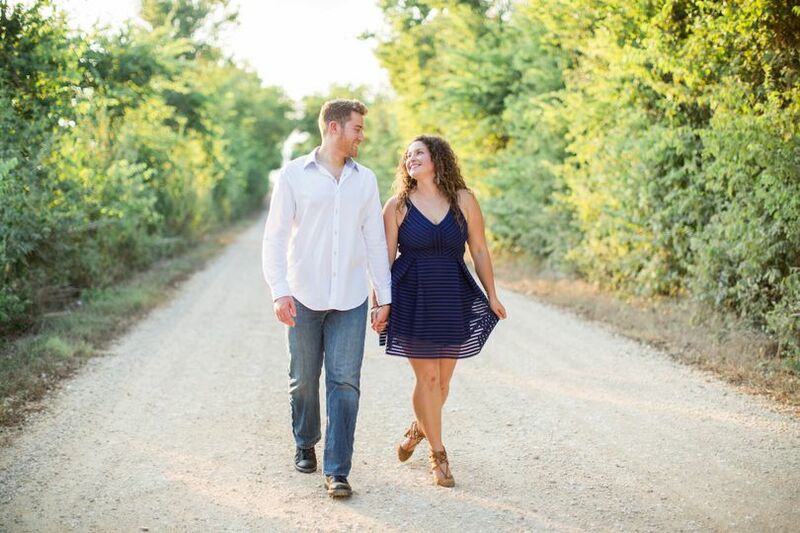 The Allen Farmhaus is the perfect hill country getaway venue in New Braunfels and the surrounding areas! It&apos;s truly one of a kind with just the right mixture of historic and country. Cassie and Maitlyn are some of the sweetest ladies I know! 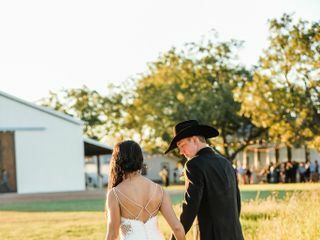 If you&apos;re looking for a venue with a gorgeous farm house to get ready in, a giant barn to dance the night away, and fields to watch the golden sunset...you&apos;ve found the right place. I look forward to many more events and weddings with them!